Leaner government, continuous improvement and innovation are popular topics in government reform today. There are articles, conferences, webinars and trainings galore touting the message of fixing our processes in order to meet the growing demands on the public sector with shrinking resources. We all want to see government get better. The employees of many agencies have a sincere desire to improve their work in order to serve more people, increase the prosperity of neighbors and communities and maximize efforts to accomplish the goals of government. There are often unintended consequences to process improvement, however, and while we tout savings, customer service, and efficiencies ad nauseam, we don’t talk nearly enough about what happens to our government employees. The people doing the day-to-day operations of government often have “improvements” forced upon them. Take, for example, the administrative assistant at a Department of Motor Vehicles who has to move from the back office to the lobby in order to answer questions and direct customers. While this allows the office to run more efficiently, being in front of customers all day is vastly different from the duties the admin had performed in the past. The change can be quite uncomfortable. But, that consequence is anticipated. 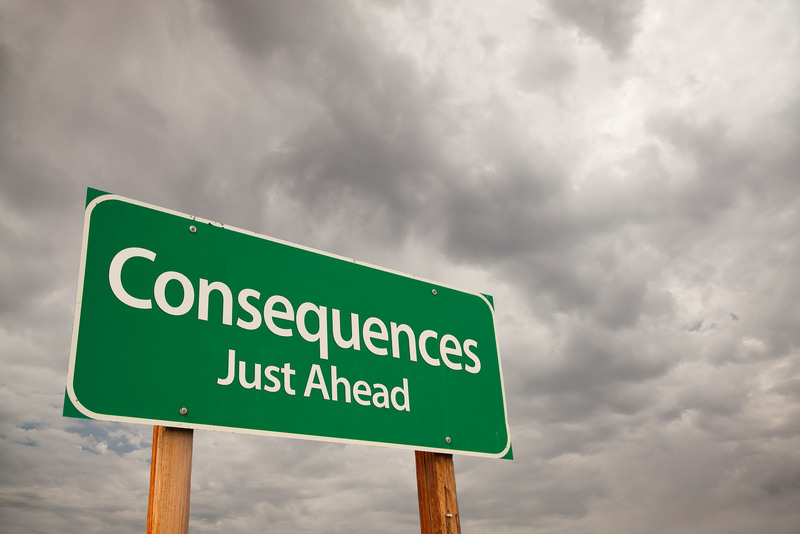 Unintended consequences typically show up months later, after the team has disbanded. What we see in successful efforts is that employees find increased job satisfaction. We even see people reinvigorated because reform can help them capture the enthusiasm that brought them to careers in the pubic sector in the first place. Most public sector workers are amazing people who came to their careers in hopes of making a difference in the lives of the people in their counties, cities, and states. We want to help the poor, protect the environment and keep our kids safe and healthy. Often what demotivates us are the same things that upset our customers—paperwork, red tape, long lines, endless bureaucracy. These are not the reasons we got into public sector work, but it is the world that we must navigate in order to pursue noble outcomes. They also happen to be the killers of speed and the contributors to our inefficiencies. When we reduce these factors in order to improve a process, we also remove the burden of them from our employees, and when done correctly, we remove the demotivation that seems to grind us down over time. Too often when it comes to motivating employees we never talk about removing the things that cause our unhappiness; we only talk about money, communication, and training. The reason so few of those efforts truly motivate our peers is because we come with our motivation built in, it’s our work processes that beat it out of us, and until we remove the thorns, no amount of financial salve is going to help long term. Ask yourself this: If given the choice between a 2 percent raise or seeing the benefits of my job quadruple, which would I pick? We’re not indifferent to money. If you have some more, we would like more, but the low salary is a demotivator not a motivator. More money isn’t why we came to life in the public sector, it’s not what’s going to keep us here. And that’s good since all the efficiencies and efforts to save money don’t translate into more in our pockets. It is more fruitful to find ways to tap into this intrinsic desire to be a part of the noble work than it is to find the resources to offer financial bonuses based on how well we navigate a gunked up process. By fixing the way work is done, we speed up the process. That means case workers are seeing more families get help faster, engineers are spending less time doing rework and more time working with builders to ensure compliance with codes, and overall more people are doing the real work than filling out forms and fixing problems. Last week, I was in Boston talking to a group of information technology professionals about improving the process of local government. After my presentation I sat down with a man from the mayor’s office and he shared a story of how one department radically changed the way work was done, allowing people to connect with the city in faster, much more meaningful way. Citizens love the change, but not as much as the staff. The department used to be a pariah. People couldn’t wait to move on from working there, and no one wanted to be ‘voluntold’ to go over and help out. Just a few months into the new process and people are happy, resumes for positions long open are now plentiful, and people only leave begrudgingly. They wanted to make it easier for the citizens who used the department and made it better for the people who worked there, too. In our consulting efforts we have seen employees break down in tears after implementation, thankful that they can see the connection their work has with clients. When they see the results of their work, that internal passion kicks in and, with demotivators removed, the amazingness comes out. When the unintended consequence of process improvement is that workers reconnect to their careers they, in turn, start to love their work again. Look at the work, not the people. Many of our efforts are concentrated on fixing the people of government. Putting in elaborate performance measures and goals for the people. Efforts to make our people better people are almost insulting. They communicate that ‘you’ are the problem, and if only you worked harder, everyone would be happier. The truth is our problems are rarely effort, skill, and/or talent issues. We usually are held back by how the work is done, not who is doing the work. Efforts must concentrate on fixing the way we work, the pipeline of our work, in order to allow the people to do what they they’re supposed to. Focus on getting better, not getting cheaper. We used to do a workshop we entitled “Better, Faster, Cheaper”, but then we realized that too many people were focused on the ‘cheaper’ aspect alone. In fact, most times, the threat of cuts hurts productivity. It is no fun to slash a budget. I’ve had to sit at the conference table until way after the sun went down talking to my colleagues about finding cuts, who we will have to let go, and how we can keep everything running with 15% less than last year. They are exhausting and can be heartbreaking. To disguise them as “improvements” or “efficiencies” may play out great with elected officials, but employees know the truth, and no one is coming to work smiling when he knows the $3 million saved cost the jobs of his peers and friends. That said, better is often cheaper. We routinely see 80% improvement in processing at no new costs, and even less cost. If time is money, it only makes sense that when time is cut, so is the money it takes to operate. Attack the things that make dealing with and working in the government a challenge. Address why processes are so slow. They have to eliminate bottlenecks, batches, and backlogs because they are killers of speed. Our efforts have to address confusing and lengthy applications and forms. Every person who submits a half filled out form, or one with enough errors to drain a red pen, just creates rework for us, and them. Rework zaps us of our time. We need to instead look at what we are asking from our customers through their eyes and understand where and why mistakes are made in order to get out in front of them. When we address those, we not only fix the process, but we take away the demotivators that cripple our capacity, our creativity, and our ambition. As we move forward trying to find ways to meet current demands with limited budgets, we are going to have to get innovative and we are going to have to change how work is done. While the motive for that may be financial, remember that it is possible to get radical results while at the same time, often unintentionally, motivating all of us to get more noble results from the work we want to love. In order to get both the capacity and the tears of joy, we just need to make sure our efforts concentrate on the process and not the numbers or the people.